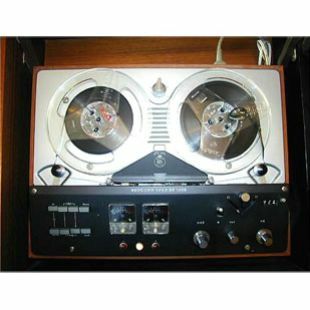 "If you already own a hi-fi music system or a good radio set with a tape socket - in other words, if you have an amplifier system capable of replacing that provided in a tape recorder you may prefer this 2-track recording machine. Technical specifications are equal to those of the Beocord 2000de Luxe K, but there is no mixer section or output amplifier. The Beocord 1500 de Luxe has built-in playback pre-amplifiers and is sold complete with gramophone/radio record pre-amplifier. This recording pre-amplifier may be exchanged for a microphone pre-amplifier if direct microphone recordings are required. Dimensions: 205mm high, 450mm wide, 335mm deep. Choice of teak or Brazilian rosewood finish" - taken from the 1967 - 1968 Bang & Olufsen product catalogue. 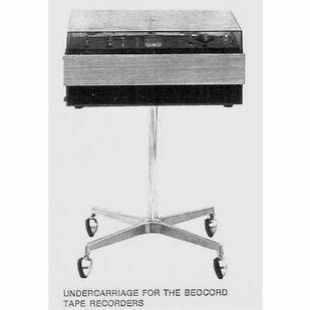 Beocord 1500 DL was a stereo tape recorder which you could use with an existing stereo system. 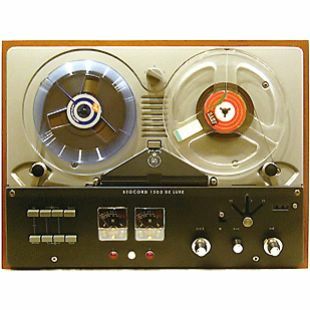 There was no built-in amplifier or microphone - the unit's raison d'être was a means to make really good recordings from records or the radio. A single stereo input channel of standard DIN level was the only source, but two outputs were provided: one of a fixed DIN level, and the other (Line) of a variable level controlled by a concentric (L,R) knob on the control panel. With a special lead and the correct Beomaster, it was possible to do off-tape monitoring during recordings (although by using standard DIN connection through the 'radio' socket this function was not available). An elegant steel undercarriage on smooth-running castors was separately available for the Beocord models at that time. It was available in two versions: for Beocord 1100/Beocord 2000 de Luxe T, and Beocord 1500 de Luxe/Beocord 2000 de Luxe K, respectively. Beocord 1500 DL was replaced by Beocord 1800 in 1970, which looked very similar but included several detail improvements, such as a die-cast chassis and optical automatic stop. Mechanically, Beocord 1500 DL was the same as Beocord 2000 DL and was offered in the same way in either 2 track + 4 track replay and 4 track only models. The Beomaster 900 RG Compact radiogram featured a recess of the exact size to fit Beocord 1500 DL which made it into a complete audio system.